For over 30 years, UBSki has been the leader in organizing ski trips for thousands of college students, including low-price, hassle-free winter and spring break packages. 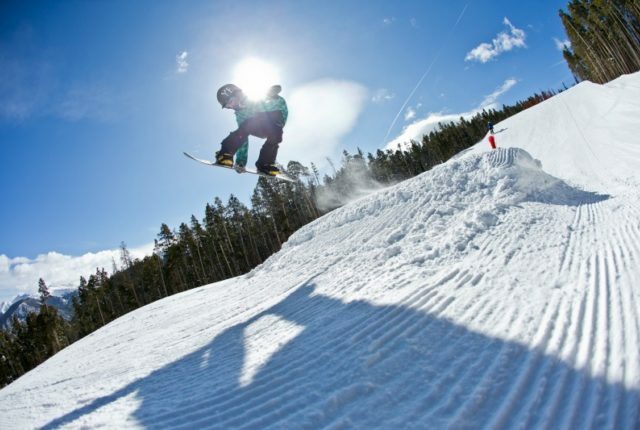 All packages include 6 days & 5 nights of lodging and lift tickets valid at Breckenridge, Keystone, Vail, and Beaver Creek. Plus drink specials, live bands and free cover charges! All condos are located either on the slopes or at the base of the Breckenridge Ski Resort. Whether you are coming with a few people or a large group, we take care of lodging and lift tickets, and provide discounts for rentals, lessons, motorcoach transport, and airfare with airport transfer. Start planning your trip today! Thank you for all of your hard work to make our trip a huge success. Simply put: you guys did a great job with logistics. We never had to register for our hotel, fill out ski rental forms, or wait in long lines for lift tickets---you guys did it all, and for a rate we could have never obtained on our own (in fact, on our own using the same dates, same resorts, and same hotel, still traveling as a group, we would have had to pay nearly 50% more).